Hobby film photographers and lomography fans alike will be pleased to know that the Lomography brand has just released a new plastic camera to continue the tradition of 35mm film and plastic cameras. If the term is new to you, the term lomography refers to both the specific brand today as well as a hobby style of photography that uses cheaply-made film cameras to create colorful, dreamy photographs. Opposite to today’s modern DSLR specs, each lomography camera is unique and effects like vignetting and light leaks are valued as part of the imperfect vintage look. 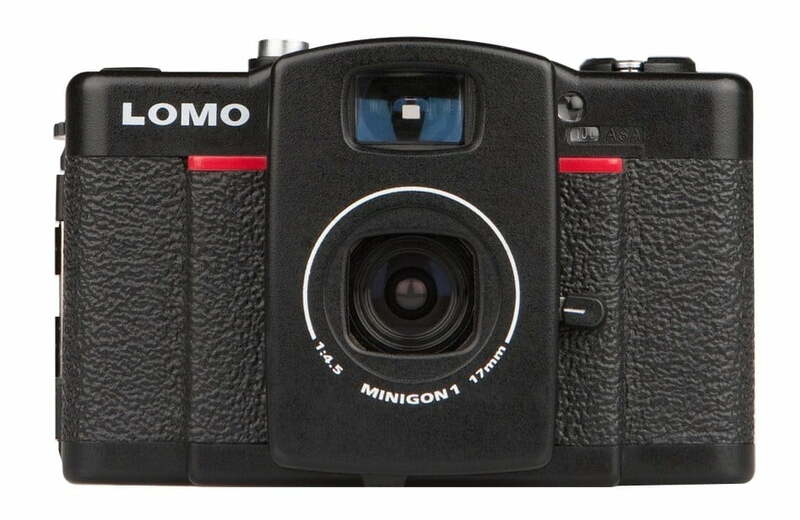 The new camera, the LC-Wide (with a surprising $389 price tag), takes after the famous LC-A camera but with a 17mm Minigon Ultra-Wide Angle Lens. A lens that is any wider than 16mm is usually considered a fisheye, so the 17mm lens will give you an extremely wide shot, minus the fisheye effect. The LC-Wide camera offers the versatility of three different photo formats (full, half, or square) as well as vibrant colors, strong vignetting, and the possibility of multiple exposures. This camera isn’t sporting high megapixels or a huge censor, but that’s exactly what gives it its appeal. Take this camera with you as a fun way to take snapshots and see what kind of beautiful art they turn into. Waiting for the film to be developed is half the fun.